How Easy Is It to Publish a Guest Post on Business.com? Blog > Tutorials > How Easy Is It to Publish a Guest Post on Business.com? 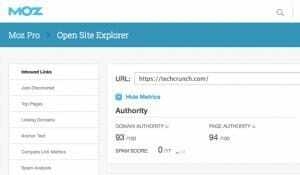 Business.com is a fairly large site with a lot of potential value from links. The content on the site is largely created by their list of expert contributors, so the question is; how do you become one of those expert contributors? If you want to guest post on Business.com, you’re going to have to become a contributor. In order to do that, you first need to read their guidelines for contribution. The document is pretty old, but the requirements still stand. Let’s go over them. First of all, you need to be an expert in your subject. You’re not going to be able to contribute if you don’t have any credentials to your name. Thankfully, if you’re looking to guest post, you probably own or contribute to a site of your own, and you probably have published guest posts on other sites. You don’t really need more than that to be considered an expert, so long as you actually write good quality content. Business.com is a B2B, or business to business, company. That means the vast majority of their content is aimed at helping businesses succeed, rather than addressing customers. Always remember your audience when you’re thinking about guest posting! They also have a focus on small businesses, so content that focuses on small business growth, cost saving, and success measures is good. Try to avoid recommending products or services aimed at an enterprise-level audience; most of the Business.com readership doesn’t fall into that group. Leadership, how to lead and grow a small business successfully and avoid the pitfalls that make employees want to leave their jobs. Entrepreneurship, tips and guidelines for an entrepreneur to start a business, bring a new idea to fruition, or otherwise succeed as a small or solo enterprise. Sales and marketing, how to use a limited budget to reach a good audience. Social media, how to leverage Facebook, Twitter, and other networks for the benefit of your small business. Growth strategy, how to implement growth hacks and other techniques to out-maneuver established competitors or bring a service to market quickly. Small business problem solving, how you have encountered specific problems in growing or running your business, and how you have solved them. Advice on managing the purchasing of tools and services for your small business, as well as recommendations on good tools, products, or services for various types of small business. Operations and problem solving, how to manage when a problem crops up, how to address problems based on priority, and how to work past problems to keep growing. Essentially, the list of topics is “anything that can help a small business succeed, with an emphasis on personal accounts of problems you’ve faced and the solutions you’ve found.” Bringing something unique to your situation to the table can help; good content from a personal perspective is more valuable than generalized content. Business.com allows you to contribute pretty much as often as you want. You could write a new post every day if you wanted, so long as you have valuable enough content to back it up. They recommend contributing a couple times a month, for the best balance of content quality and frequency. Also note that there is not a pitch-acceptance-writing-editing-publication cycle. You write content and you submit it. They will look it over and, unless it is especially poor quality, will publish it. They will make some edits for clarity or for fixing typos and the like, but will avoid edits that change the tone or substance of your piece. They WILL reject poor quality content, so always submit your best work. So what does it take to become an expert contributor? 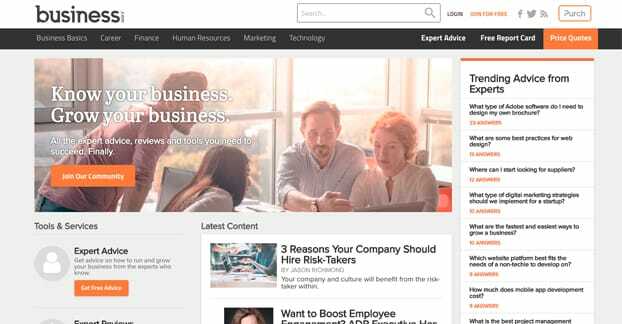 Business.com is “seeking experts only.” Specifically, they say that they do not accept applications from bloggers, freelancers, or content marketers. If ALL you do is run a blog, you won’t get in. You need a business backing the blog, and you need your own personal experiences behind that business. Business.com also has strict rules for their graphical content. They will accept infographics, but only if you personally produced them, no outsourced infographics or third party submissions. Images in your blog posts have to be your own work, no stock photography or third party captures. One major stumbling block for a lot of people following my general advice is that Business.com does not accept articles containing interviews or third party quotes. 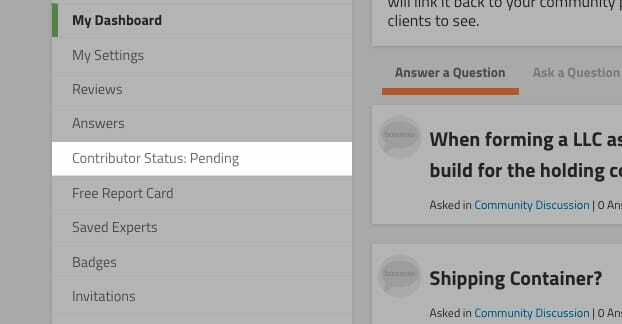 The entire interview or industry round-up technique is invalid for this site. You must bring your own experiences, your own tips, and your own knowledge to the table. If you’re quoting another influencer, Business.com would rather just have a post from that influencer directly. It’s also worth noting that Business.com does not pay for their contributions. Their links are also nofollowed, to avoid abuse. So what do you get out of a submission? A byline on a popular site with decent domain authority. Your name shows up in more places, which you can leverage for more connections in the future. A profile link. 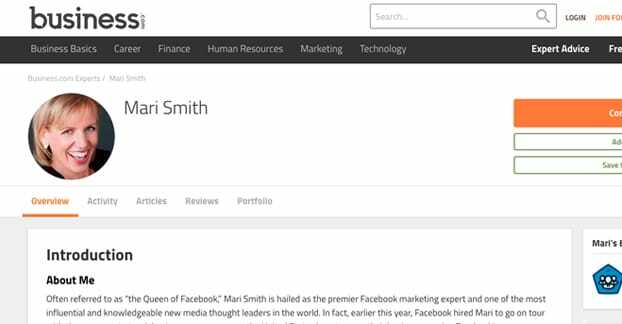 If someone clicks through your byline on Business.com, they will arrive at a profile page. Your profile page also contains a picture, location, company and role, short description, long About section, and lengthy business description. A profile resume. Your profile page can have as much work experience as you want to add, which can add legitimacy to your online presence. You can also list your publications both on and offline. See a sample profile for examples. A chance to establish your authority. Both through your contributions and through the Quora-like Business.com answers system, you can showcase your expertise and earn reputation. Nofollowed links that pass traffic. Business.com gets plenty of traffic, and people click links in blog posts. The traffic can be worthwhile, especially on good content. The potential to be featured, both on the Business.com front page and on their social media profiles. 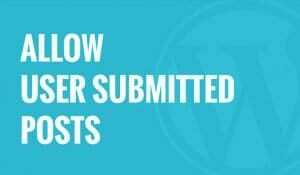 Getting featured gives you further traffic, further exposure, and further influence. It’s also worth noting that Business.com is owned by Purch, which is a company with several online publications. Writing for this site can potentially open the door to contribute to other sites, including Tom’s Hardware, Space.com, Active Junky, or Laptop Mag. If you want to sign up and contribute to Business.com, the first thing you need to do is create an account. You can click this link or just visit their site and click the “join” button up at the top. You will be asked to fill out some basic information about who you are and what your business is. 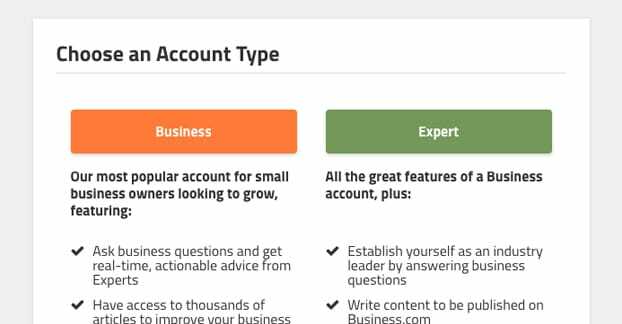 Then you get to choose to be a business account or an expert account. You will need to choose the Expert account here. It’s the one that allows you to write content for Business.com. 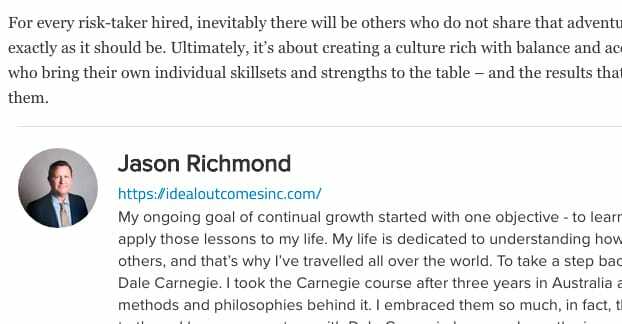 Either type of account can contribute to the Quora-like answers system, but only the Expert account can write guest blogs. 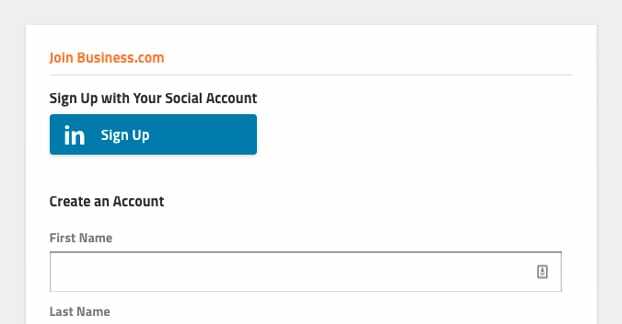 Once you have your account registered, you are brought to your dashboard. There, you need to fill out all of the information possible. 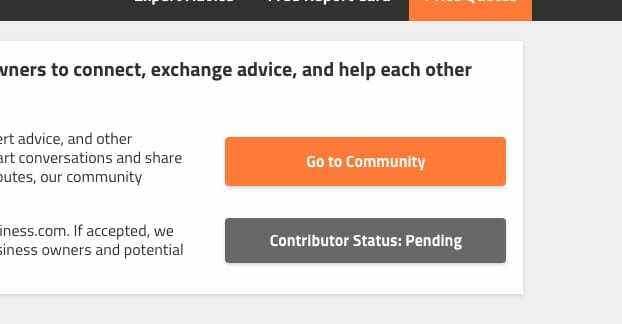 I might also recommend spending some time as a community member, leveraging your expertise answering relevant questions when they appear. This can help showcase that you know what you’re talking about, and can get you a presence on the site. More importantly, it grows the chances of being accepted as a contributor. That’s right; while the account is free and unrestricted to create, you still need to apply to become a contributor. 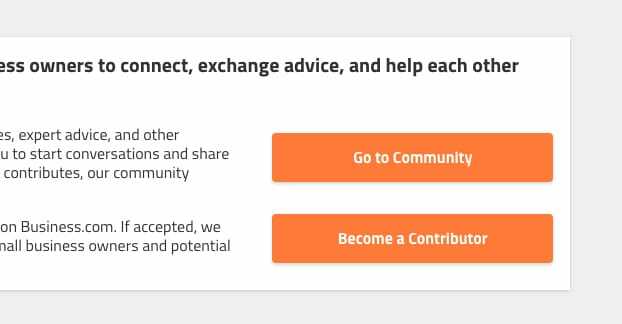 The button is right there in bright orange on your dashboard: Become a Contributor. You will need to click this and fill out the form. 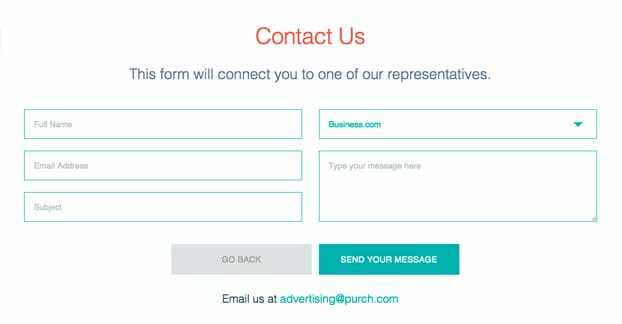 The form includes your basic profile information, like your About section, your business information, your job title, and your social media account links. You will also be asked to submit a short paragraph on your experience with specific topics, your links to any other published content, five sample content ideas, and any additional information you feel would help your chances. All of this needs to be submitted and reviewed. Additionally, you have to agree to the terms and conditions. It’s important to note that by the contributor agreement, you irrevocably assign copyright of the content you submit to Business.com to their company. Once it is published, it is theirs. They agree to give you attribution – they won’t publish it under their own names – for a period of two years, after which it likely no longer matters enough to care. So how easy is it to get through their contributor process and start writing content? I would rank it at about a medium level of difficulty. They aren’t super picky about their contributors, but at the same time, there’s a lot of competition due to how many people are registering to submit their applications. As long as you’re above average and can write content from a unique perspective, you should be able to get in. The caveat here is that the more you do beforehand to bolster your presence within their areas of interest, the better off you will be. Here are my tips. Find a few other sites in a similar small business niche and write valuable guest posts for them. Come up with your five unique, interesting content ideas, doing your best to leverage personal experience rather than offering generalized tips. Spend a month or so in the Business.com community, answering questions, asking questions, and generally making your presence known. Fill out your profile as much as possible. The better your credentials, the better a chance you will have. Be prepared to write the content you pitch as ideas, and if you’re feeling confident, write it in advance. This way, once you’re accepted, you can immediately submit one of those ideas. Don’t submit more than one at a time; stretch out your presence over the course of a few weeks. Once you’re accepted, there’s no hurry, but you want to keep your presence active. As for the content you produce, I recommend being very careful with your first few posts. Don’t be overly promotional, and in fact, avoid shilling your own product or service at all unless it’s extremely relevant. Even then, if you’re writing a product recommendation post and you’re recommending yourself, it’s very transparent and very likely to either be rejected or to have your own link removed. Rely on your profile link to do the heavy lifting until you’re a more established contributor. If you get a post rejected, don’t worry about it. Try to adapt and write something better suited to their audience. Double-check that you’re not just duplicating a topic covered by someone else recently. Thankfully, they don’t seem to have a rejection limit or penalty; you just have to try again. I suppose if everything you write is rejected, they might kick you from the program, but generally they just let you bounce off the wall as long as you like. If you’re rejected from the contributor program, take a few months to build up your credentials. The more publications and the better your business you have under your belt, the better off you’ll be. Just remember; solo bloggers and copywriters aren’t accepted. Even if you’re an “entrepreneur” with your business being copywriting, you don’t quite fit the bill of what the site is looking for. Guaranteed quality sites, PBN free. 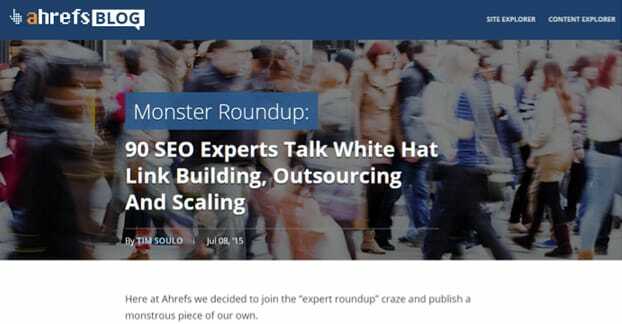 We'll reach out to sites on your behalf and help you acquire more guest blog post links. Thousands of guest post sites. 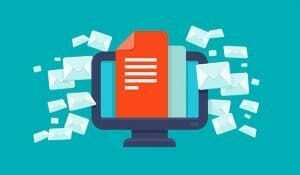 Email harvester. Blog scraper. Member-only support and tools.